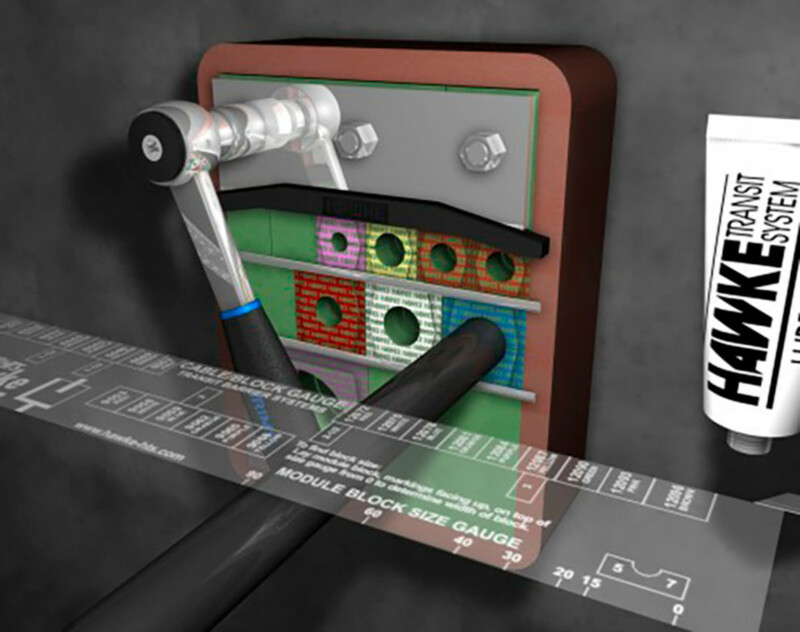 Hawke-HTS are world leaders in providing cable and pipe sealing systems. Originally developed for the North Sea oil and gas industry, the Hawke Transit modular sealing system is used across hazardous area industries throughout the world in some of the most extreme environments. With over 25 years experience in manufacturing this type of product, Hawke-HTS applies rigorous quality control in every part of the manufacturing process. Quality is at the heart of the company and this is reflected in the certification that their system has gained. Hawke Transit System-HTS has been approved by Lloyd’s Register Quality Assurance to the ISO 9001 :2008 Quality Management System Standard which is applicable to the Design, manufacture and distribution of sealing transit systems (MCT) associated with cable and pipe runs. The system also complies with the European Directive of Marine Equipment MED 96/98/EC, for the production of the sealing blocks under modules B+D. Their products are designed and manufactured under a quality system complying with ISO 9001 and the latest international standards. Worldwide Procurement Service UK Ltd is pleased to be able to offer the Hawke Transit System system throughout Africa. We have a representative in Africa that can travel to assess your needs and explain how superior the product is compared to others on the market. In comparison to the competition, the quality of the Hawke Transit System is far superior and this, along with its certification and ease of installation, has made it the market leader that it is. Please contact us to arrange a phone call or visit from our African rep. The Hawke transit system needs no on-site modifications which makes it much quicker to install than leading competitors, more than 50% quicker in some instances. The unique way the modular system in manufactured means the installer has very few decisions to make. 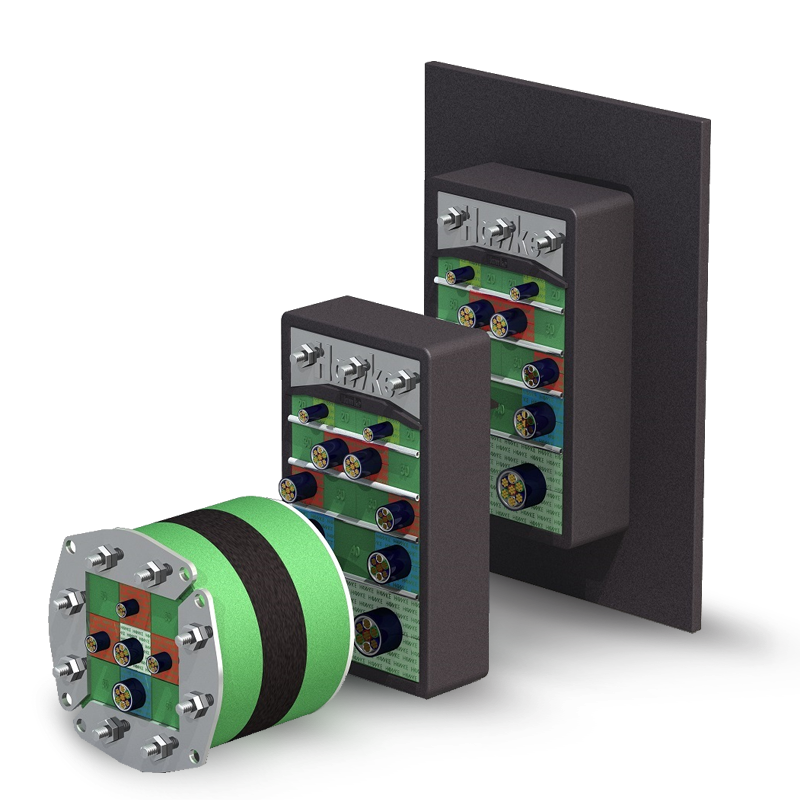 It provides a civil, marine and EMC transit block system for both rectangular and round transits which mean that even the most demanding of installation requirements can be catered for. The Hawke Transit System can be supplied with mild steel, stainless steel or aluminium transit frames, although it can normally fit within existing frames, making it an ideal retrofit solution. The blocks offer a 4mm sealing range without any modification and their 5 sealing faces offer better grip, this also caters for cables with sharp bending radiuses out of the transit. Blocks are colour coded to ease installation, which is great for visual inspections, and are made from zero halogen intumescent polymer which is 2hr fire rated.